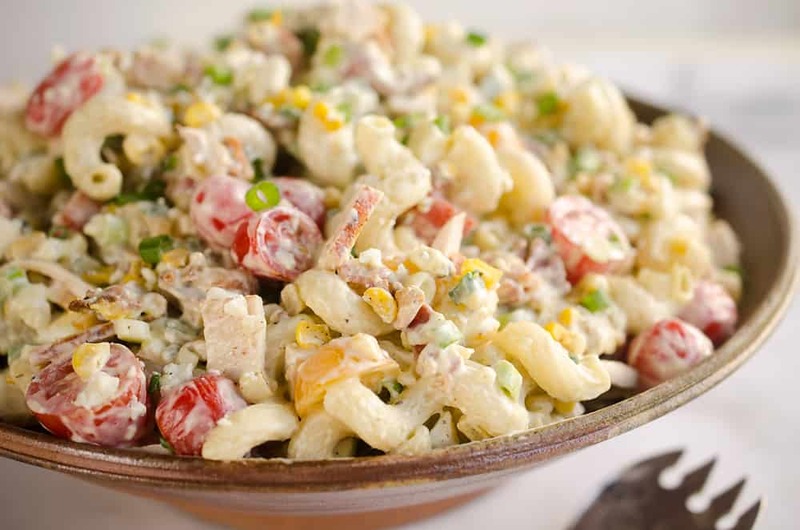 Creamy Turkey Cobb Pasta Salad is a fresh and flavorful side dish perfect for your next picnic or potluck. Pasta, Jennie-O turkey breast, bacon, bleu cheese and veggies are tossed in a zesty avocado sauce for a salad bursting with flavor and crunch. Does turkey make it into your summer meals or do you reserve it just for the classic Thanksgiving feast? If you only enjoy turkey in the fall you are truly missing out! From the Jennie-O Oven Roasted Turkey Breast in this Creamy Turkey Cobb Pasta Salad to Turkey Thai Peanut Lettuce Wraps or Turkey Burger Sliders, there are countless ways to enjoy Turkey Recipes all throughout the year! It is a fantastic lean meat that is a great way to add protein to just about any dish. 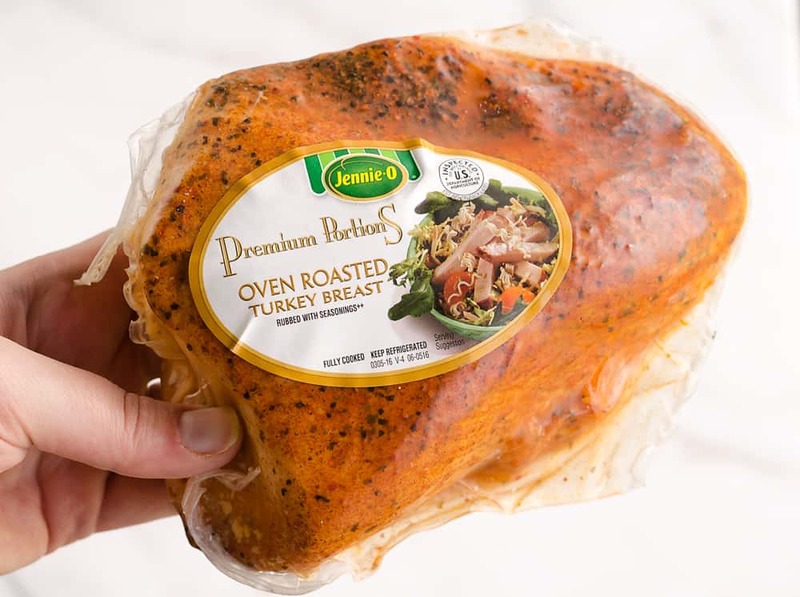 I have enjoyed all three flavors of Jennie-O’s Premium Portion Turkey Breasts, including Oven Roasted, Hickory Smoked Cajun and Hickory Smoked Sun Dried Tomato. 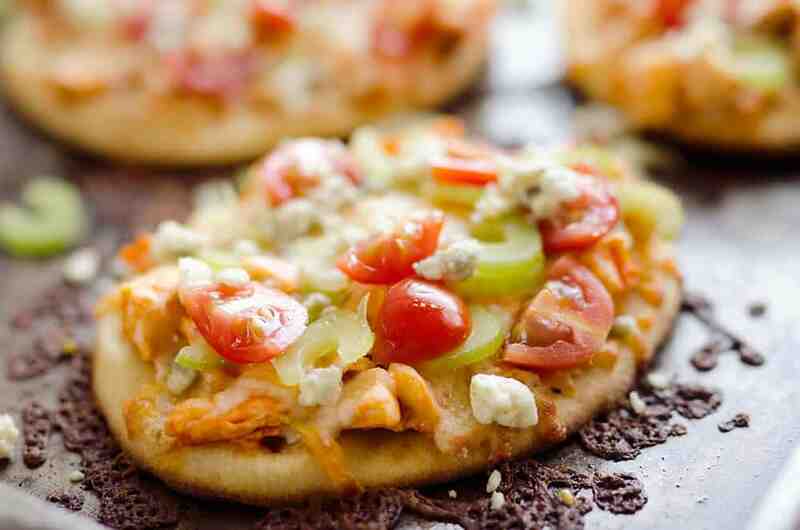 They are fantastic on sandwiches, in lettuce salads or substituting a protein in a recipes like these Crescent Pockets. It’s so nice to have a quick and healthy meat in your refrigerator for simple last minute meals! 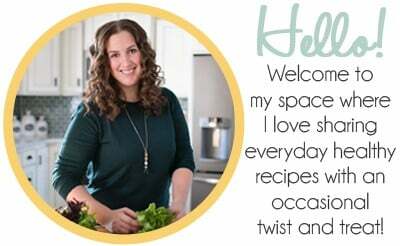 Our family tends to make the same old pasta salads for potlucks or gatherings. This Poppy Seed, Grape & Chicken Pasta Salad or a typical Italian Pasta Salad are the usual suspects. It was time to change things up, but with familiar flavors I knew my family would still enjoy. You can’t push them too far out of their comfort zones after all! 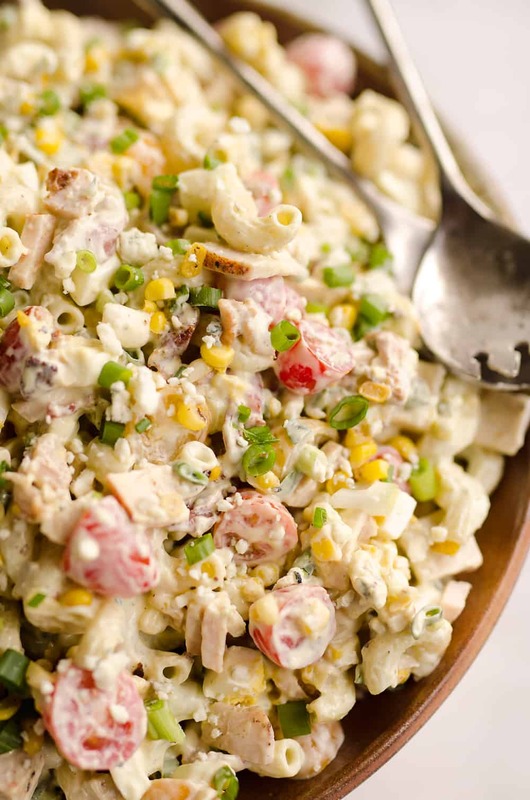 This Creamy Turkey Cobb Pasta Salad was the perfect compromise. 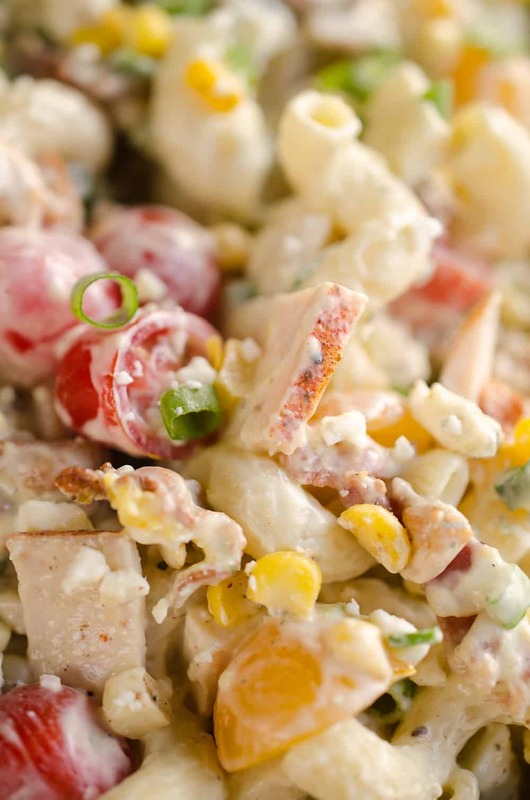 All of the great flavors of cobb salad are combined into this creamy pasta salad. 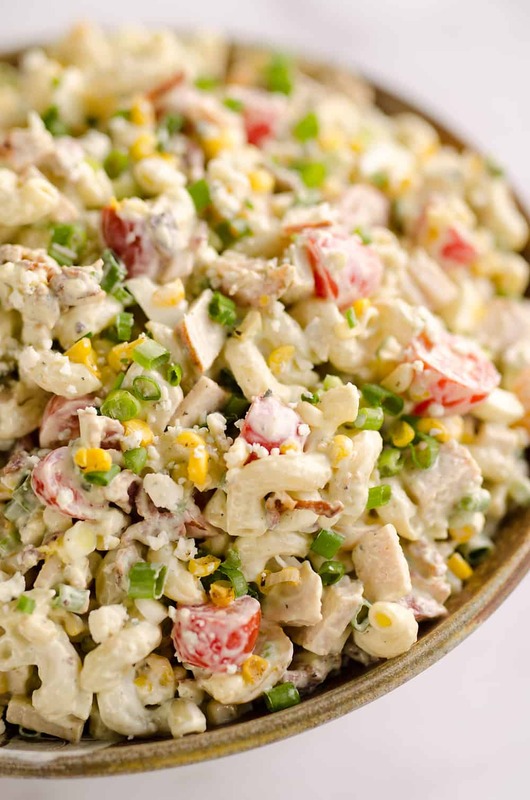 It includes delicious Jennie-O Oven Roasted Turkey Breast, bacon, fresh sweet corn, tomatoes, green onion, bleu cheese, hard boiled eggs and a creamy avocado dressing made with a little jalapeno, lime juice and ranch seasoning. 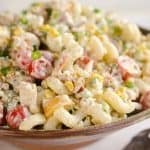 Whether you enjoy this Creamy Turkey Cobb Pasta Salad as a quick and easy lunch with lots of vegetables or bring it to your next potluck or picnic as a side dish to share, it is sure to be a hit! Add all of the dressing ingredients to a blender and blend until smooth. Set aside. Meanwhile, in a large skillet over medium-high heat, add the chopped bacon. Cook until browned and crispy. Removed from the skillet and place on a paper towel to drain. Add the sweet corn to the bacon fat in the skillet and cook for 3 minutes. Remove from pan and set aside. In an extra large bowl, add the cooked pasta and toss with olive oil. Add the dressing and mayonnaise and stir until well coated. Add the remaining ingredients to the bowl and toss until well combined. Refrigerate and serve chilled. 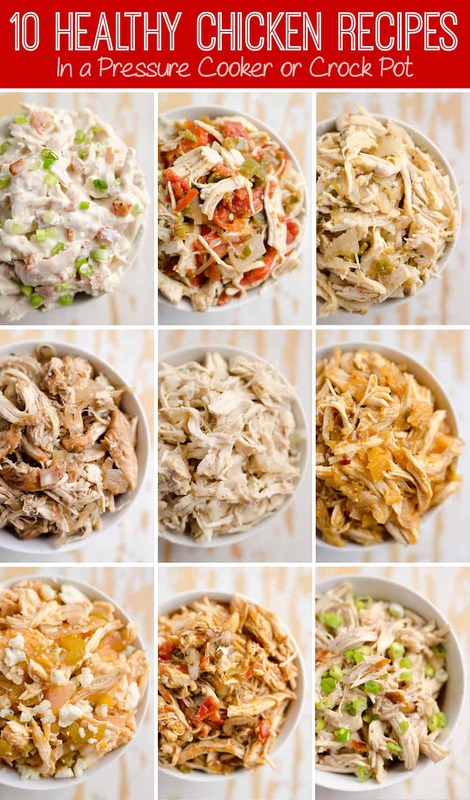 More great summer turkey recipes! 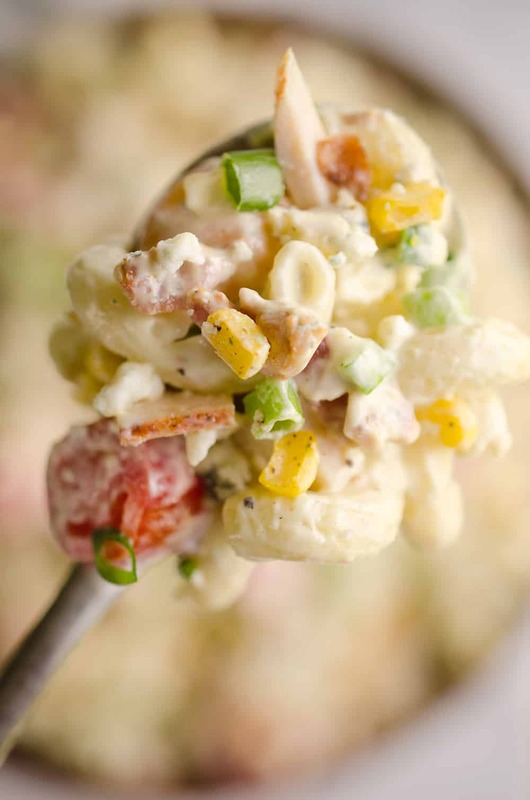 Can’t go wrong with a pasta salad at summer outings! Why do all food blogs has such gorgeous photos that makes my mouth water? Are all of you guys both photo and food enthusiast?! 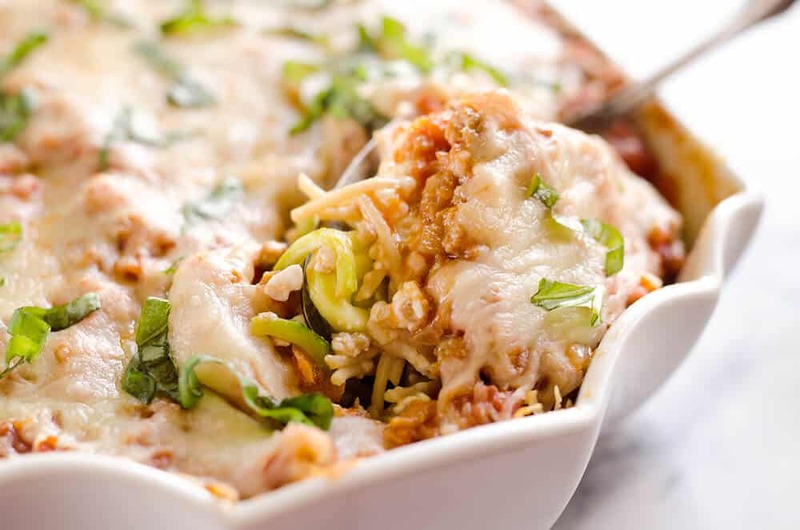 🙂 Kudos for the recipe, I really love pasta since I was a kid and this is awesome since I am always looking for new things to create with my good ol’ pasta.